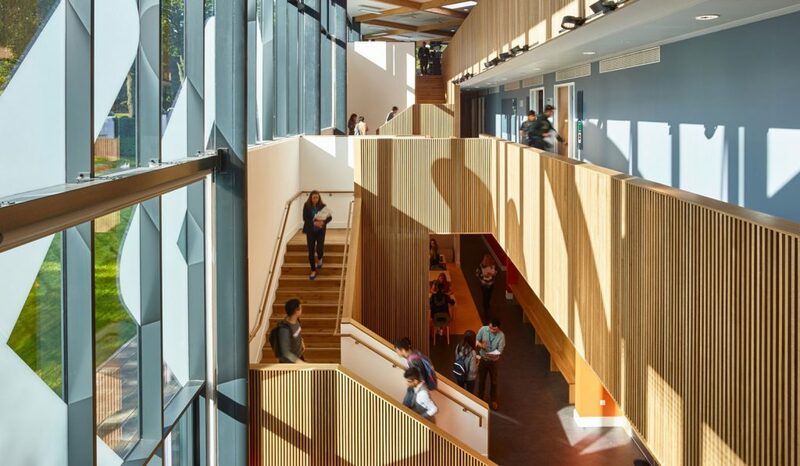 The new INTO building will provide facilities for the INTO University of Stirling Partnership to assist new foreign students to adapt and prepare for their future studies at the University of Stirling. Woolgar Hunter provided Civil, Structural and Geo-environmental Engineering services on this exemplar facility. 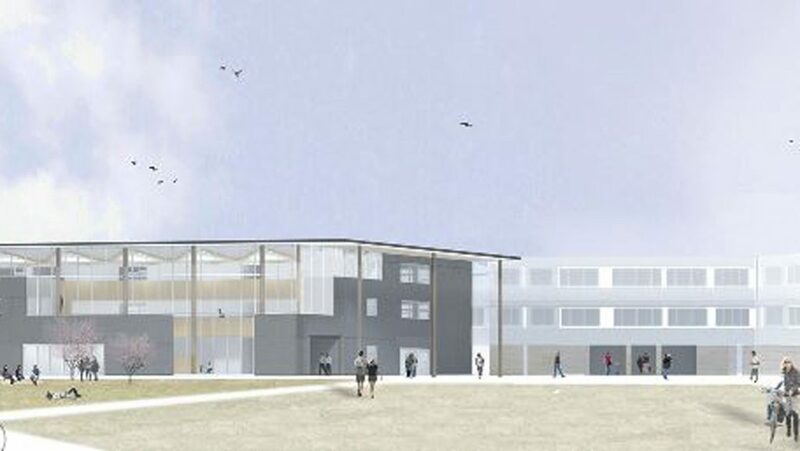 The new INTO building will provide facilities for the INTO University of Stirling Partnership to assist new foreign students to adapt and prepare for their future studies at the University of Stirling. 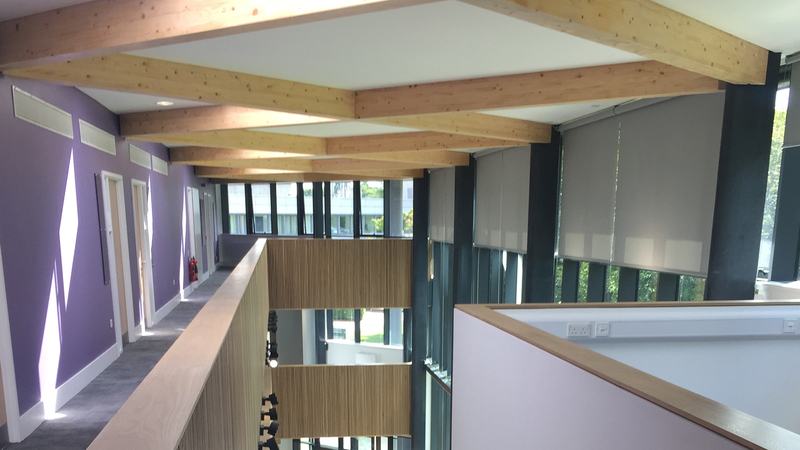 Woolgar Hunter provided Civil, Structural and Geo-environmental Engineering services at this exemplary school. 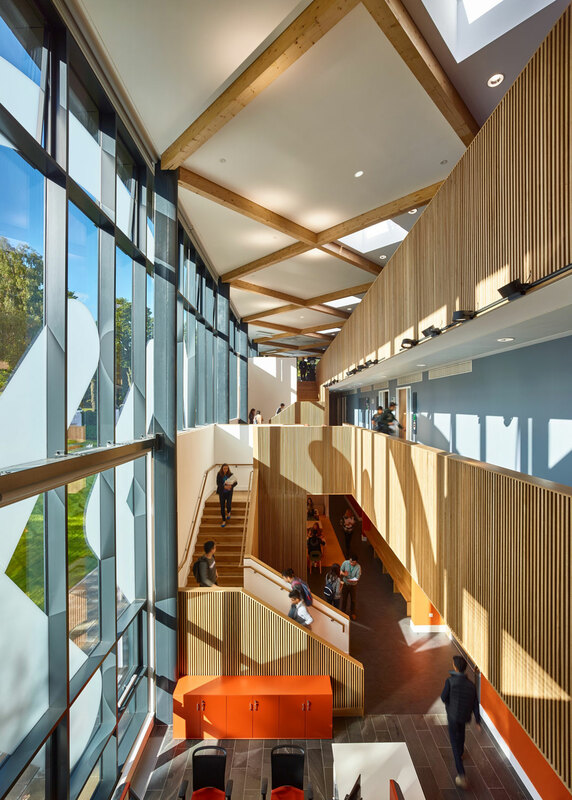 The 3-storey frame was designed in conjunction with the Page/Park architects and will house teaching, and staff supports areas as well as the main auditorium and stepped atrium space. The architectural concept was fundamental in the structural design, with a concept of descending mass of structure from the raft concrete foundation at the base, through the long span steel at the centre, to the floating glulam diagrid at the top of the atrium. Woolgar Hunter geo-environmental were able to assist the structural team in the development of an economic raft foundation, reducing the complexity of the substructure solution and accelerating the building process on site. The long span steel work transferred the loads from the uppers stories to create the volume required for the auditorium space. 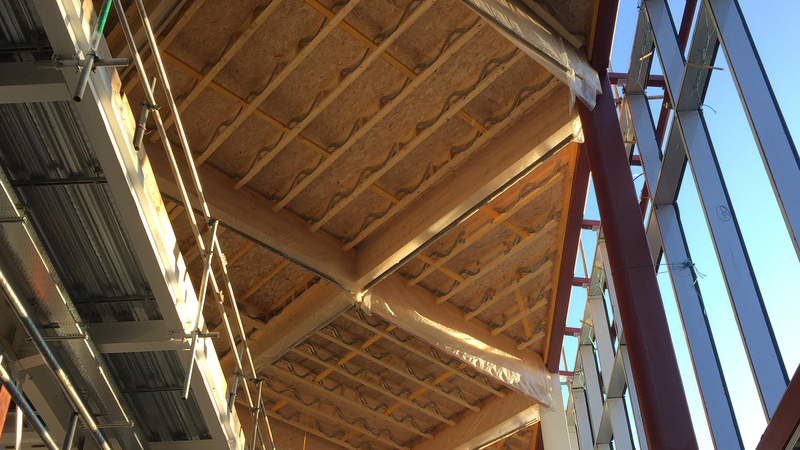 The exposed glulam diagrid was tied to the exposed structural “bullet” mullions, creating a bespoke and light solution to the flexible atrium space.